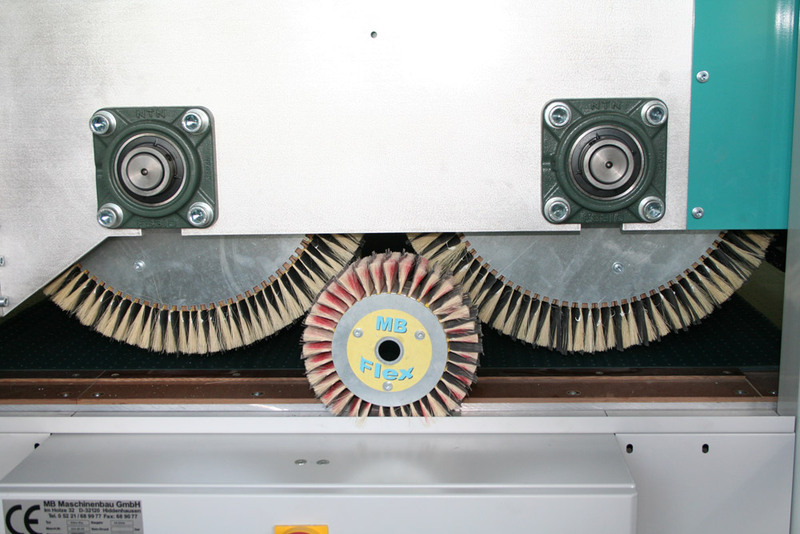 The main idea of the ROBA Big principle is to avoid the main disadvantage of all today known drum based brush sanding machines: Those who work normally with sanding drums with a diameter of about 310 mm are only in a very small area in touch with the work piece, about 30 mm. 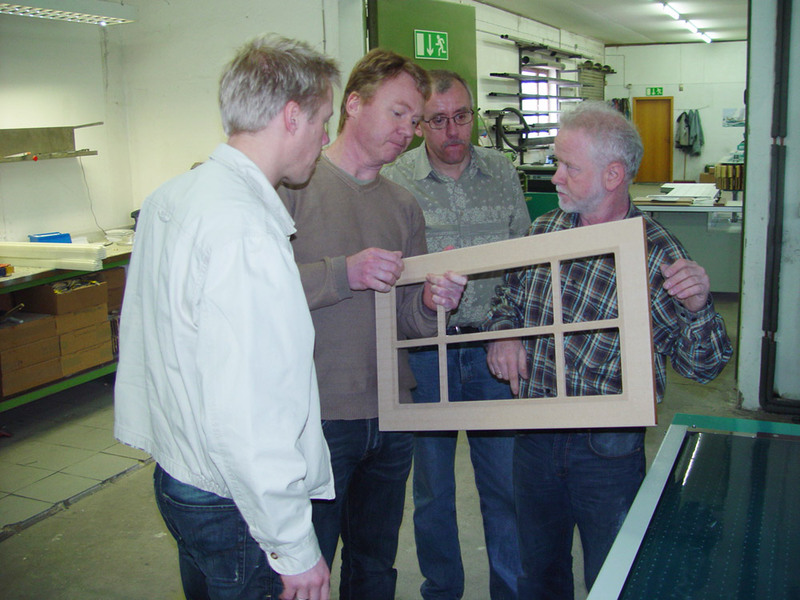 Only in the vertex of the circumference of the tool a sanding process is possible. 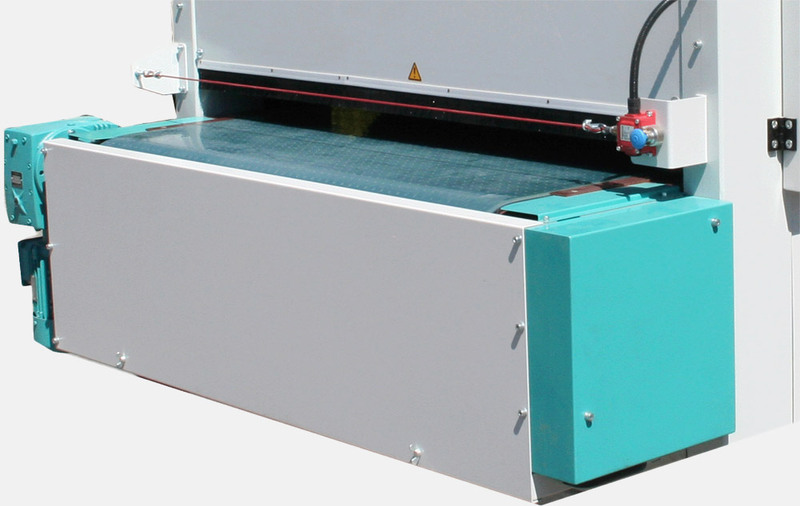 To compensate the very small sanding area normal sanding systems have to increase their rotation speed to a high level. Only this way they have a chance to get nearly the same effectiveness. But this results in a „hard touch“ of the sanding paper, which leads to an aggressive behavior on the edges, high temperatures and wavy optic of the material. Hurt edges and totally denibbed surfaces are often the result. The innovative ROBA Big is equipped with a totally new developed sanding drum with a diameter of approx. 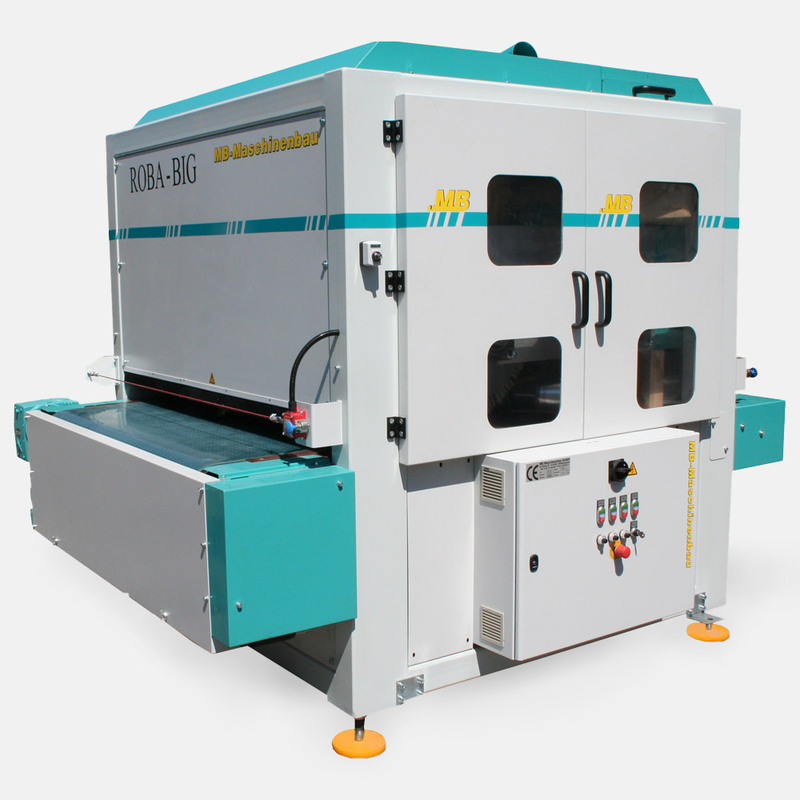 630 mm which it makes possible to obtain a larger sanding area (about 300 mm) in touch with the work piece and more than 500 meter of sanding material on the machine. This is unique on the market of brush sanding machines. 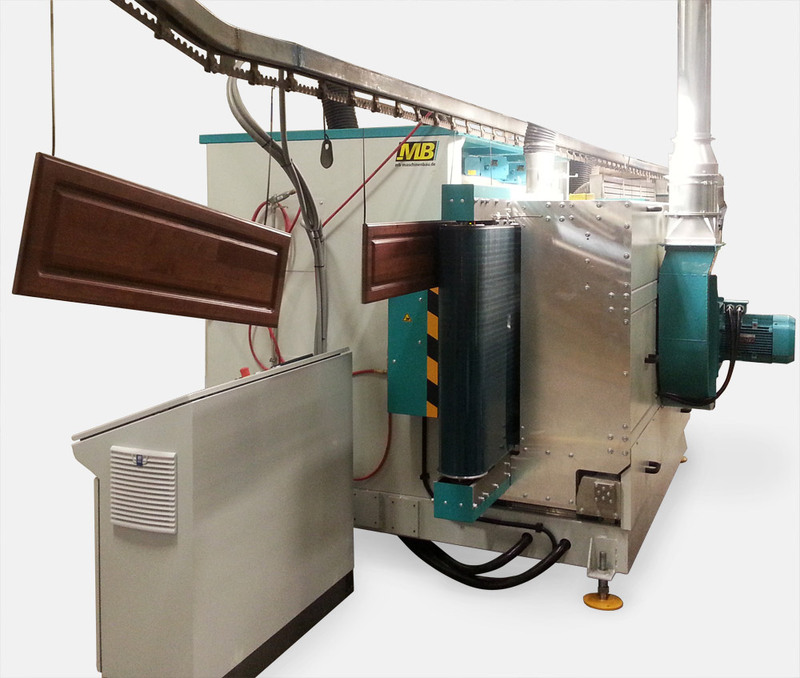 Due to the by this means enlarged sanding effectiveness the machine is able to get best denibbing results at lowest rotation speeds. As a result of this, low movement speeds let the sanding strips slide gently into the milled grooves to sand them every effective. The ROBA Big is equipped with two rotational heads, one is clockwise sanding, followed by a counterclockwise sanding drum. Only in this way it is ensured that, independently of the wood grain structure, all upstanding „hairs“ are denibbed. 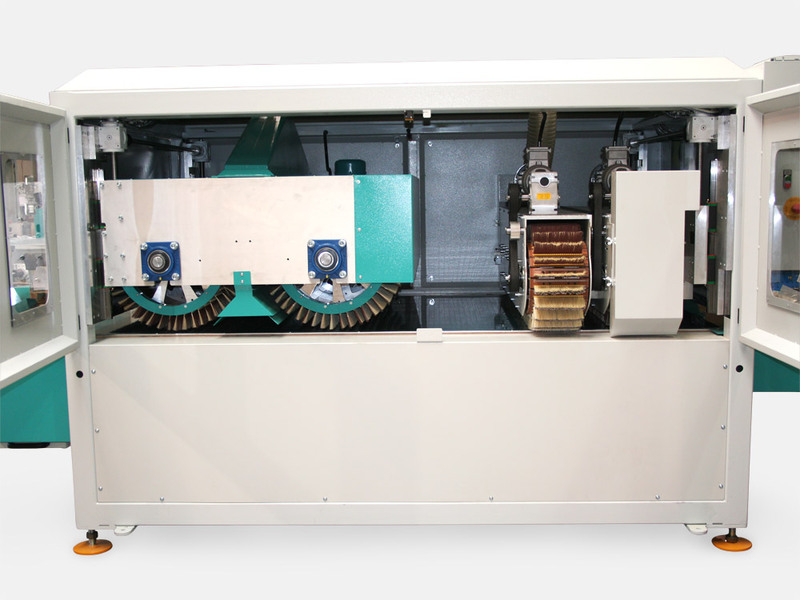 Many by PLC adjustable sanding options help the operator to set the machine to his special sanding requirements. Large abrasives quantities make low movement speeds possible, at the same effective level. The area in touch with the work piece is enlarged up to 300 mm instead of the normally possible 30 mm. A „pulling“ sanding avoids wavy surfaces and penetrates deeply into the milled grooves. The low rotational speed guarantees long abrasive lifespan because the sanding segments do not hit the work piece edges that hard.